Professor, Department of Biophysics and Biochemistry, Graduate School of Science, University of Tokyo. 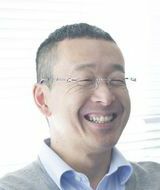 Copyright © 2005-2007 Kuroda Lab. All rights reserved.